XLR-to-USB signal adapter connects any XLR microphone to a computer for recording with headphone monitoring. Features include USB connectivity, integrated preamplifier with Microphone Gain Control, and Zero Latency Monitoring for real-time playback. What is the X2u best suited to? 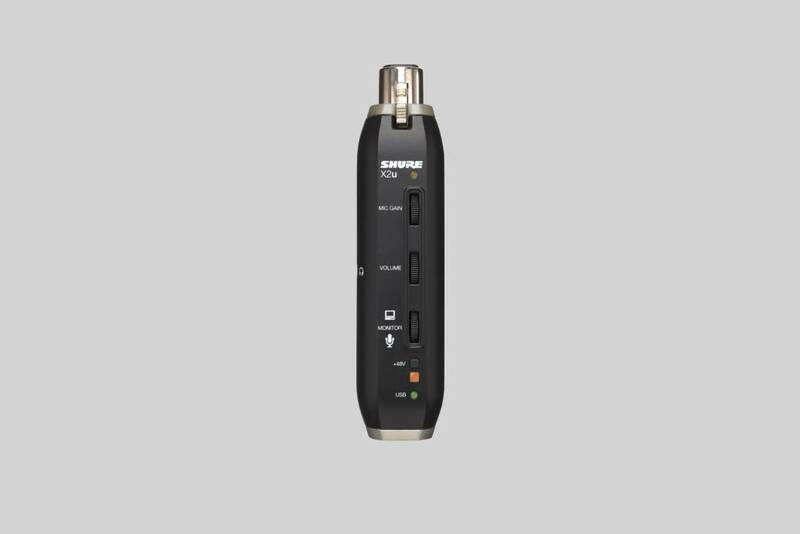 The X2u, combined with any wired microphone can be easily connected directly to a computer without the need for any additional hardware. This would make it ideal for home recording studios. The X2u is compatible with Windows 7, 8, 10 (32 & 64 bit), Vista (32 & 64 bit), XP, 2000 and Max OS X (10.1 or later). It features a built in headphone jack so that you can monitor the sound without the need for an additional sound card. It also includes an integrated pre-amp with mic gain control which allows you to control the signal strength. Can I use a condenser microphone with the X2U? Do I need software to make the X2U work? What is monitor mix control?